Generico produces one of the the largest inventory of in-stock Socapex compatible break in/break out assemblies around and by far the most cost effective. Assembles are stocked with Edison, Twistlok, Stage Pin, and Power-Con, along with a large quantity of blank end units to install other connector types including True One and other varieties of Twist Lok connectors. 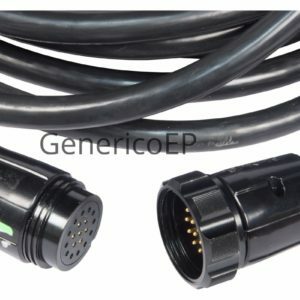 Generico offers its own Socapex compatible connectors in both the two-piece backshell style and the single barrel type in both 19 and 7 pin types. 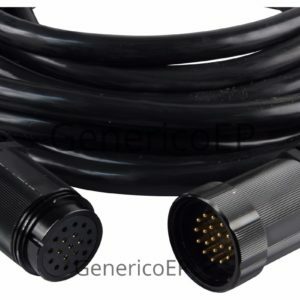 Generico also stocks 12/14 cable assemblies in all standard lengths and can assemble custom lengths upon request. For certain line arrays, 12/19 cable is available for assembling fly cables. A large stock of 7 pin hoist cable is stocked in common sizes for use with CM Lodestar hoists and any other brand using 7 pin Socapex compatible connectors.